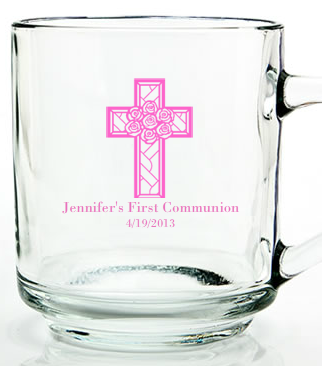 If you are looking for unique Communion favors or Christening favors, these personalized glass mugs are perfect. They can be used for hot and cold beverages. However, most kids and adults use them to hold trinkets, jewelry, pens and pencils. 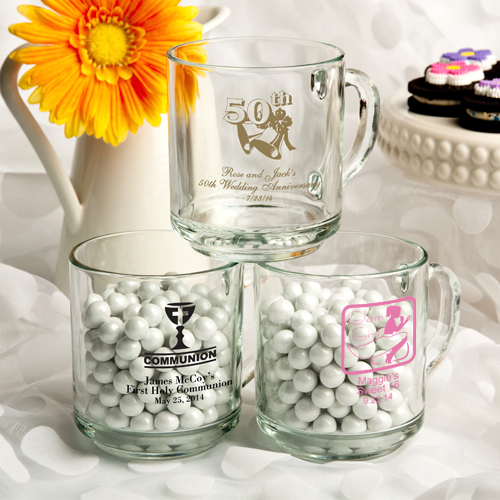 Since the clear mugs are personalized, friends and family will always remember your special event. 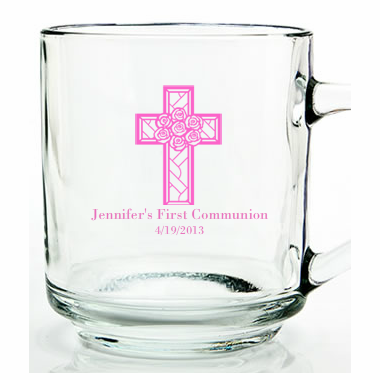 Each Christening or Communion favor measures 3 1/2" tall x 4" in diameter, with a 10 ounce capacity, in a classic coffee mug shape with a sturdy glass handle for an easy grip. Made in the USA, each is made of clear glass and they’re silk screened with amazing accuracy directly on the glass in a wide variety of designs. We offer graphics for Christening, Confirmation, First Holy Communion, Baptism, and many other occasions. You can purchase a box for an additional .70 each. 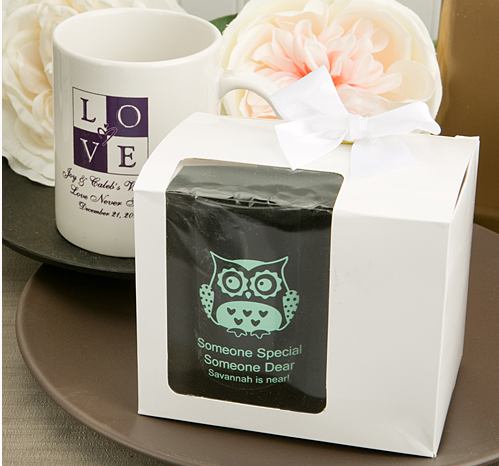 It comes with clear window display front and separate white satin bow with sticky back for easy application. Box Dimensions: 4" tall, 4.75" wide, 3.25" deep. Boxes are shipped flat - some assembly required.